Fall is finally upon us, but surprisingly there are not many big MMO releases slotted for this season. Once again we’ll be focusing on major updates coming to or recently arriving for MMOs; this time, it’s ESO, Riders of Icarus, and TERA. Since we last reported on Elder Scrolls Online (ESO), even more changes have gone live, and the game is currently preparing for another big update: Update 13. Earlier this month, ESO added “One Tamriel,” which allows players to adventure with their friends regardless of level differences. What this means is that right out of the tutorial, characters can go wherever they want in the world and their character will automatically scale to the content around them. Alliance restrictions have also been lifted in all zones except PVP areas. On top of that, every zone has been tweaked to allow for both solo and group-play options. All dungeons in the game now have both a Normal and a Veteran mode, with Veteran dungeons all having their own specific Monster Mask and Shoulder set rewards. 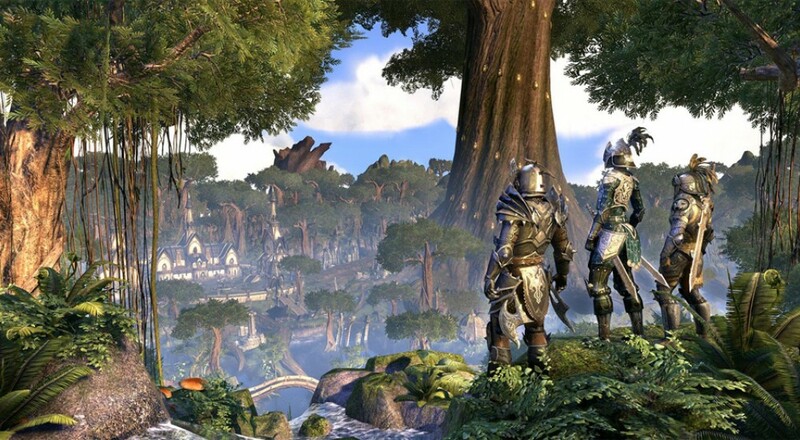 One Tamriel significantly changes the way ESO is played, and as such a lot of facets of the game have been changed to accommodate this new way to play. The Craglorn Zone has in particular received a lot of changes to be One Tamriel-friendly. You can check out their full patch notes accompanying One Tamriel on the game’s forums. Page created in 0.5699 seconds.